No matter what country you live in, you are connected to the rest of the globe through international trade. In your U.S. home, you may be using products made in China, eating bananas grown in South America, and wearing clothes made in India. 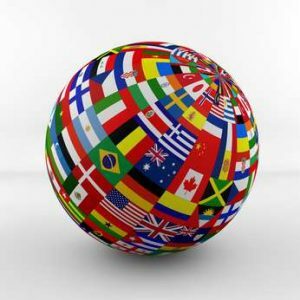 Still, no matter how connected we all are, each country continues to maintain its own way of handling and managing money, its financial system, regulations and laws. Even more confusing, countries often have their own currency with a fluctuating value. When trading between countries, these variations create special challenges and sometimes disparities that necessitate the input and guidance of a third-party collective. The International Monetary Fund (IMF) helps advise on international policies while also providing a valuable resource to help identify, and prevent, economic issues and inequalities. The IMF was originally developed to promote international cooperation in setting economic policy that would help avoid a repeat of the situation that led to the depression. The organization is comprised of 188 member countries, including the U.S., Germany, Afghanistan, Nigeria and Finland. One hundred eighty-seven of the countries are also part of the U.N. Decisions regarding IMF processes are made by a board of governors. This board is comprised of a governor and alternate governor appointed from each country with IMF membership. The IMF also has an executive board overseeing its daily activities. The executive board has 24 members and each is responsible for casting votes to represent one or more countries. The countries they represent elect these members, and their votes are assigned a percentage quota based on many factors including a country’s GDP, involvement and stake in the global economy, and financial strengths (measured by their reserves). The IMF works with the World Trade Organization (WTO) in order to help stabilize international trade policies and growth. One of the ways the IMF assists the WTO is through its Trade Integration Mechanism (TIM). TIM can loan money to countries that will have a shortfall in their balance of payments, which is the money being exchanged between trading countries. These shortfalls only create a lendable situation when caused by trade-related adjustments, which might include unexpected costs a country incurs when implementing trade-related reforms to remain competitive. In addition, the IMF helps strengthen the ability of some countries to adopt trade reforms, provides some technical assistance, and helps to anticipate both global trade opportunities and risks. Further, the IMF concurrently assists in policy design that levels the international trading playing field, allowing more countries to join in. While every country on the globe has its own economic system, there is also a global economy to be considered, and it can have tremendous pull on our individual economies. Just look at how the U.S. stock market reacts when it’s reported that another country, such as Greece, is having trouble meeting its financial obligations. This widespread effect is why having some type of stabilization is important. The IMF works to recognize and prevent economic crises in its member countries. They use a process called surveillance to identify risks to both local and global economic stability. In addition, they help leaders create policies that will reduce the likelihood of financial problems within their respective regions. Another vitally important responsibility of the IMF is the promotion of exchange rate stability. The value of a country’s currency is not fixed. Instead, it’s floating. That means that on one day, a single U.S. dollar may buy 97 yen and the next day, it may buy only 92. If exchange rates swing too far too quickly, it can have an adverse effect on the global economy. To make sure swings are more controlled, the IMF monitors exchange-rate policies. 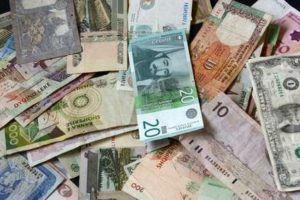 In addition, every member country agrees that they will not manipulate their rates with the intention of creating an unequal gain against the currency of other members. Each of the member countries contributes to the IMF fund, which allows the IMF to lend money to those in need and, as a result, promote global economic stability. This is accomplished by offering support to low-income countries through credit programs, debt relief trusts, and monetary policy advice, thus allowing them to better integrate into the global economy and increase opportunities for foreign investment. The IMF may have evolved beyond its original scope and focus, but that isn’t necessarily an indication that it’s become an unnecessary organization. Instead, its focus on increasing the strength and stability of the global economy by offering assistance to the lower-income countries may be just the thing to help every member country find economic wealth and reduce economic disparity. Bitcoins: Coming Soon to a Store Near You!